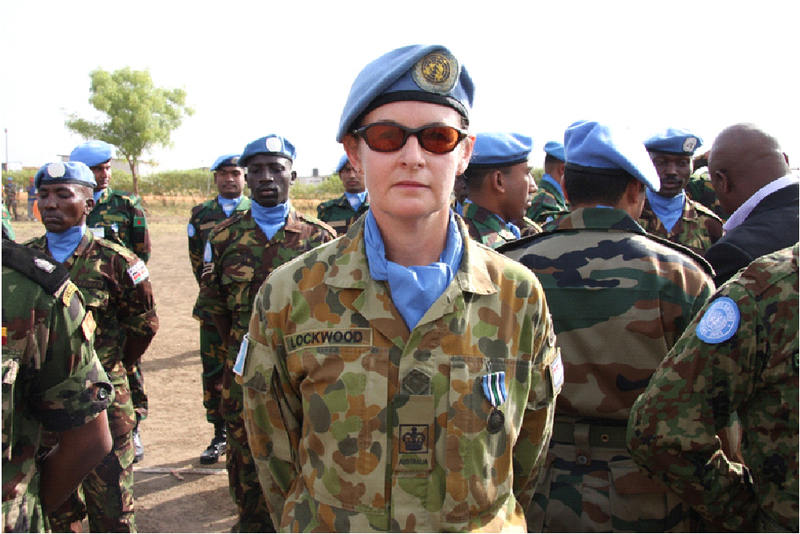 It was refreshing to see some positive news emerging from the United Nations recently, with Secretary-General Ban Ki-moon appointing the first-ever female force commander of a UN peacekeeping mission. Major-General Kristen Lund from Norway will take up command of the UN’s peacekeeping mission in Cyprus in August. It’s a good news story for the United Nations. But the fact that this is the first senior female UN military appointment raises questions about whether the women, peace and security agenda is advancing in national defence forces, and whether countries like Australia are positioning themselves effectively to support those efforts. The share of military positions held by women in UN peacekeeping operations has remained steady at approximately 3%  in the last few years, well behind female police (approximately 10%) and civilians (29% of international staff). That’s partly explained by the UN’s reliance on member states to provide military personnel—if countries don’t have initiatives in place to support the participation, retention and promotion of women in their national defence forces, then they can’t deploy them to UN peacekeeping operations. Nonetheless, focusing only on the numbers  risks diminishing why the participation of women is essential to operational effectiveness or capability (previously noted here ). Take the example of the recently established peacekeeping operation in the Central African Republic (MINUSCA). As part of its mandate , MINUSCA is required to provide specific protection for women and to take fully into account gender considerations throughout its mandate. Similar requirements appear in the mandates of other UN peacekeeping operations including in South Sudan, where ADF personnel are deployed. In those contexts , participation of women as part of the military component is indispensable. For cultural or societal reasons, female military personnel may be best placed to engage with local women, which is essential to understanding their threat perceptions (which may differ from those of men). Furthermore, if women are engaged in military deployments that have a mentoring and training role, that can encourage local women to join newly-reformed local security sectors, contributing to the overall sense of security across all sectors of society. But simple participation of women isn’t enough to deliver on those mandates. It’s also essential to integrate a gender perspective into all levels of operational planning, doctrine and training, in order to ensure that those processes take into consideration the disproportionate impact of conflict on women, and the different needs of women and men in conflict environments. None of those points are new of course. The UN Security Council started to recognise that with the adoption of resolution 1325 nearly fifteen years ago. The Council has adopted a further six resolutions  since then, which have been supported by Australia. That support has also extended beyond the UN to NATO, where Australia contributed to efforts to develop policies to implement gender mainstreaming activities. But despite all such advocacy, we’ve been slower to operationalise certain aspects in our own national context. The government is expected to table a report in parliament examining progress against Australia’s National Action Plan on Women, Peace and Security  (NAP) in July. In a welcome step, the Vice Chief of Defence Force has appointed a Director of NAP (currently a navy Captain) to monitor, coordinate and report on progress of the 17 Defence-related NAP strategies and actions. Many of the recommendations will require commitment by senior Defence leadership to drive and implement change across the organisation, both in terms of recruitment and retention of female personnel, as well as the integration of gender perspectives. The appointment of a Gender Adviser to Australia’s Chief of Defence Force earlier this year to progress efforts to address gender equality across the ADF is a further welcome move. Among other things, that inaugural position will provide advice on women’s access to leadership opportunities, as well as factors affecting the recruitment and retention of women in the ADF. Nonetheless, additional mechanisms will be needed across Defence to ensure that doctrine, training and operational planning processes include gender perspectives. That’s particularly important in the context of peacekeeping and stabilisation operations. Consideration should be given to the appointment of military gender advisers or focal points throughout different levels of the ADF and on deployment, to assist in those efforts (an approach that has been adopted by several NATO countries  and suggested by UN military guidelines ). The real measure of success as to whether Defence is making progress on the women, peace and security agenda won’t necessarily be checking the right boxes as part of the implementation of the NAP (although that will be needed), but rather, whether Defence makes clear that women’s participation, as well as the integration of gender perspectives into operational planning and training, is considered part of Australia’s longer term defence capability. The 2013 Defence White Paper acknowledged Defence’s commitment to implementing the women, peace and security agenda. It’ll be interesting to see how the next Defence White Paper elaborates on that. Lisa Sharland is an analyst at ASPI. Image courtesy of the Department of Defence .